The people who know me for a while know that I have always had a thing for the Arthurian legend. I have read the books when I was a child, and sadly I forgot most of it. All the computers that I have owned are named after characters and places from the King Arthur lore. Even my nickname on the Internet, “Caliburn,” is a different name for the sword Excalibur. When I saw the trailer for King Arthur: Legend of the Sword in the cinema I poked my movie buddy and said: “We are going to see this one!”. When the score, written by Daniel Pemberton, popped up on Spotify, I gave it a listen right away. After I heard the first couple of tracks, I absolutely did not know what to think of it. This soundtrack is something completely different from what I have been listening to in the past years. It took me a couple of listening sessions of the score from beginning to end to get more used to it. Once I saw the movie in the cinema, the score finally clicked with me. If I needed to come up with only a handful of words to describe this score I would go with “raw,” “loud,” “rhythmic,” and “natural.” The movie is not a standard Hollywood production and that also applies to the score: all bets were off. Pemberton grabbed a bunch of unusual instruments to create all kinds of sounds and melodies but also used his own body to produce sounds. He had to warn his neighbors that nothing was wrong with the screams coming from his apartment that he needed for the raw vocal screams that can be heard in the score. He also slapped his cheeks as hard as he could until they were red and stinging to get the perfect sound that he wanted. Some people would call that crazy, but I call that commitment. The soundtrack starts with a strong and raw sound of a horn in “From Nothing Comes a King”, transitioning into a nice, simple melody. The second track, “King Arthur: Legend of the Sword”, really opens the score with a strong methodical pattern in some strings and percussion with some rough lines over it, setting the mood for what to expect of the rest of this soundtrack. “Growing Up Londinium” is the music used for a not so standard montage scene in the movie. A non- standard montage needs non-standard music and Pemberton delivers. It starts with a strong rhythm with Pemberton’s heavy panting over it, and while the montage is building up, so is the music and after a moment of tranquility, it climaxes to Pemberton screaming his lungs out. The next two tracks, “Jackseye’s Tale” and “The Story of Mordred”, are two great background tracks while the story progresses on the screen. 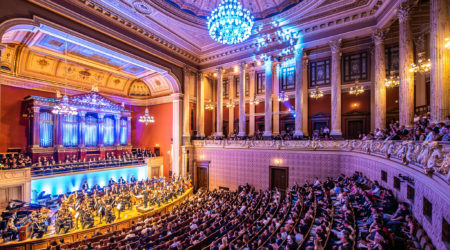 “Vortigen and the Syrens” is a very tense piece featuring a lovely women’s choir. “The Legend of Excalibur” has a nice long build-up, working to a strong musical moment where gates are opened to let the long and beautiful melody lines flow. It is like a sword stuck in stone that is finally released after some heavy pulling. After a few very decent tracks and a song, “The Politics & The Life”, we get another great track called “The Born King” with a strong foundation of a single melody that keeps repeating, while the rest of the instruments keep on building towards a grotesque climax, only to calm down right after. “Assassins Breathe” is something special: it contains a lot of percussion with the main role for heavy panting and ‘slapping on the cheek’ sounds. The mood of rawness continues in the following tracks. 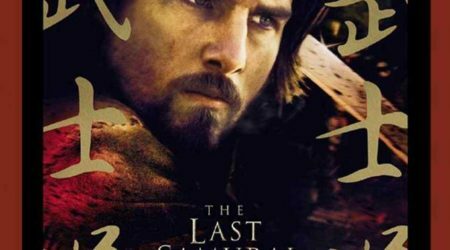 It is tense where it needs to be, upbeat and rough in the montage scenes, and emotional in the right places in the movie, like in the track “Revelation”. “King Arthur: Destiny of the Sword” and “The Power of Excalibur” truly show the power of the sword and its owner using great rhythms and melodies. The next two tracks, “Knights of the Round Table” and “King Arthur: The Coronation”, nicely round off the score. The end titles start with “The Devil & The Huntsman”, a song performed by Sam Lee that fits the rawness of the score and the movie very well. The digital version of the score also has some bonus tracks that are not on the CD1. These tracks are well written, but I will not miss them that much when my CD will arrive, except for maybe “The Devil & The Daughter” with a great buildup and an emotional ending. If it is not very clear from my story above: I really like this score. The multiple listening sessions and watching the movie have made that possible. The score is raw, but also in a weird way very fresh. It is very different from all the big Hollywood scores that I have listened to prior to this one. When the end credits were playing in the cinema, me and my movie buddy were the only ones left in the cinema. A cinema employee came to us telling us that the movie was over and that there was no ending scene coming. Apparently, that was what she was used to now. We stayed there to listen to the awesome music and to just let the movie sink in. More people should do that instead of leaving. The movie was one of the better movies. 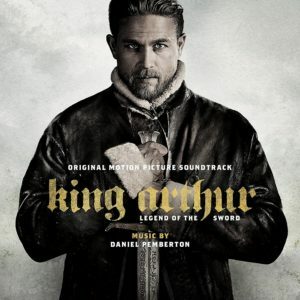 A good score really enhanced the movie experience, like Daniel Pemberton enhanced the movie with his sounds in his own unique way for King Arthur: Legend of the Sword. 1. The CD contains a download code for the digital bonus tracks.